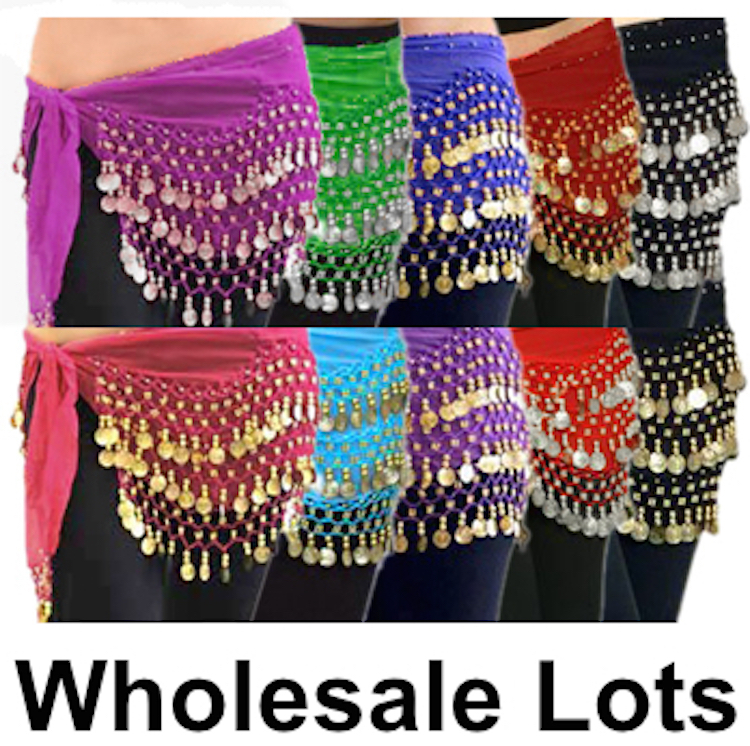 Great for belly dance class, Zumba, Halloween and more! Free standard shipping inside the U.S.
Get the party started with these lovely chiffon hip scarves with gold and/or silver coins and beads in assorted colors! Each package contains four each of assorted colors in stock. 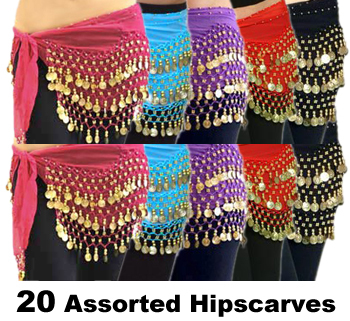 Great for belly dance class, Zumba, Halloween and more! FREE STANDARD SHIPPING to all locations in the United States. Please note: Coupons and sales do not apply to this item.